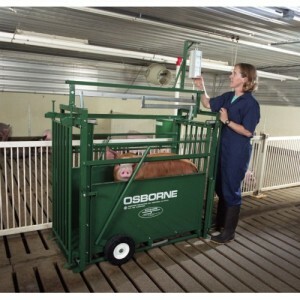 August 25, 2015 – Osborne, Kansas – Osborne Industries, Inc., a leader in the design and development of advanced livestock management equipment for sheep, goats, and pigs, celebrates the 30-year anniversary since the development of the ACCU-ARM® animal weighing system. 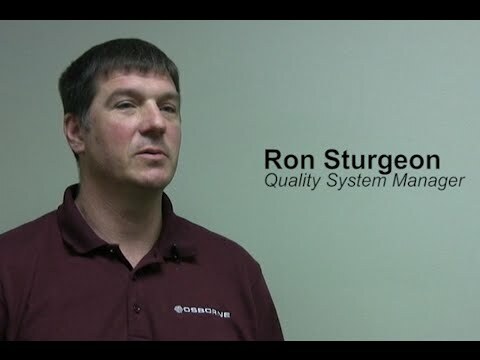 Osborne has offered the ACCU-ARM Portable Livestock Scale since the mid-1980’s, and continues to market the animal-friendly scales to livestock producers, 4-H clubs, and county fair groups around the country. In August 1985, the U.S. Patent and Trademark Office issued Patent No. 4,533,008, for the innovative way of weighing animals. The scale features a unique system of precision levers to deliver the most accurate weights that completely eliminates the use of old-style cables and torsion bars.